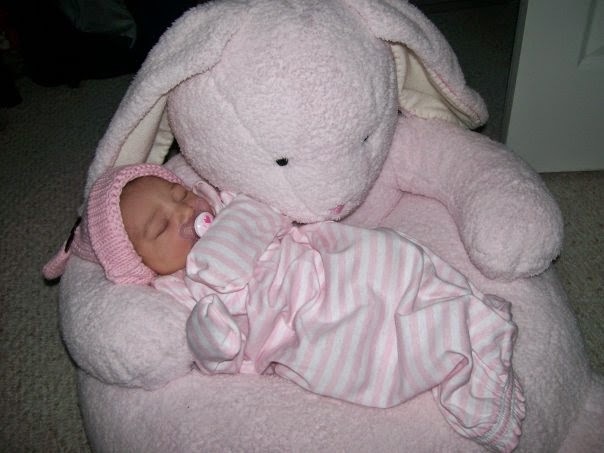 When you were a baby, your aunt Jennie & uncle Nick gifted you a sweet, little, pink bunny chair. 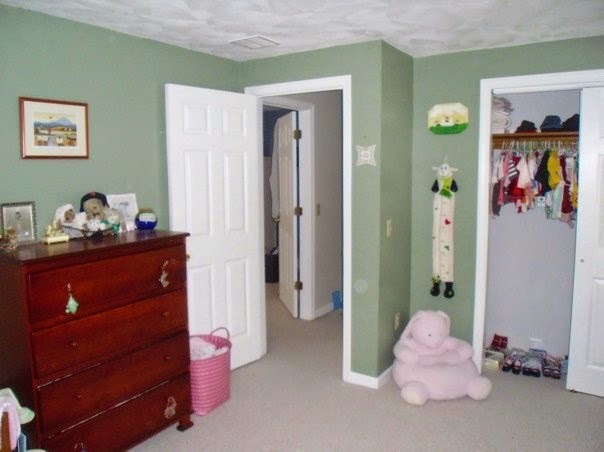 It's had a place in either the family room or your bedroom ever since. You used to sweetly sit on it to read a book or snuggle into its softness to watch TV. 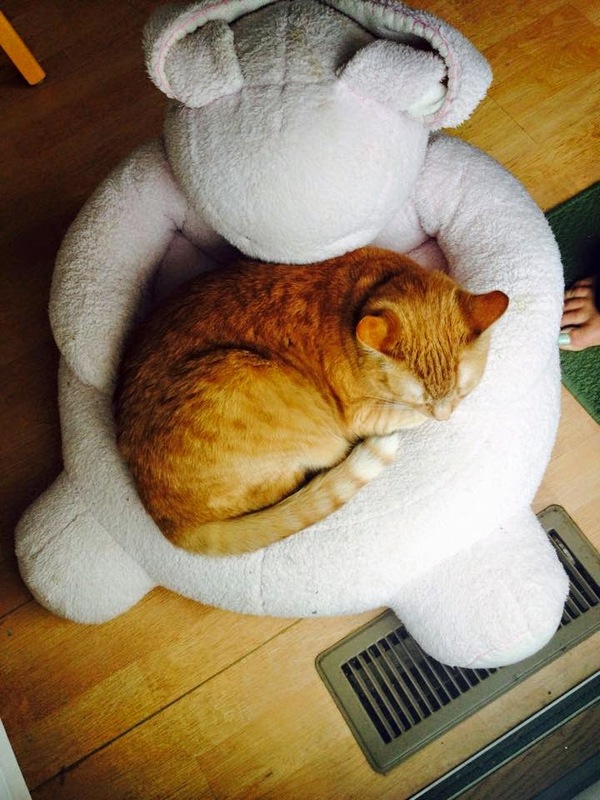 You've gotten big, & I realized the cute, pink bunny chair hasn't been used in a while. My first thought was that we could pass it on to another little girl who could love it as much as you once did. Unfortunately, there are stains all over the chair. The chair is too big to fit in the washing machine. So, I'm not sure how I would go about cleaning it. I sadly shook my head, realizing the best course of action would probably be to throw out the chair. I brought it downstairs & placed it next to our back door (90% of the time there is a pile of things in front of the back doors that we are planing to throw out). That is when Daddy noticed that the bunny chair that had gone unused for so long, was being used again...by our cats Joey & Charlie. Maybe it's because the placement of the chair provides prime view of our backyard. Maybe it's because the chair is so soft & cozy. Maybe it's because Joey & Charlie don't care about stains. Maybe they truly love the color pink as much as you do. Your bunny chair has become their most coveted spot. 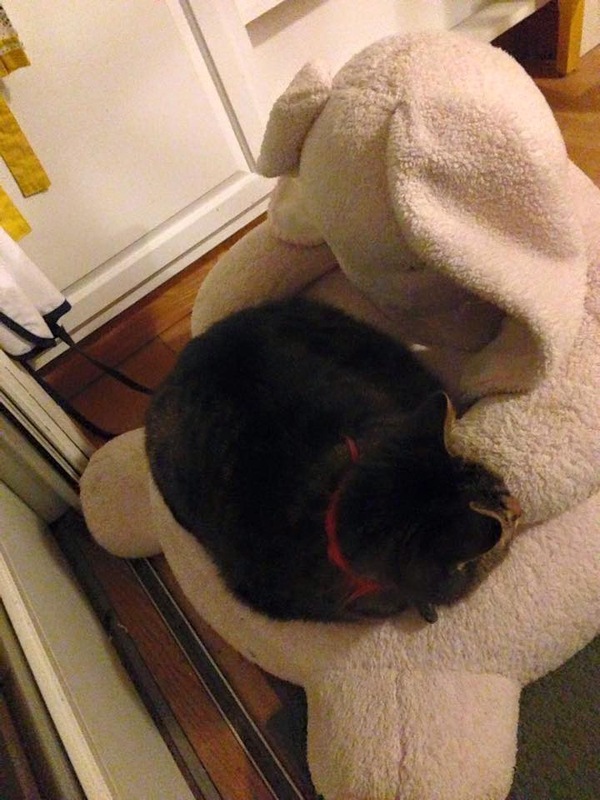 So, we've decided to keep the pink bunny chair...as a bed for the cats. I'm not sure who lives a more charmed life, you or them.